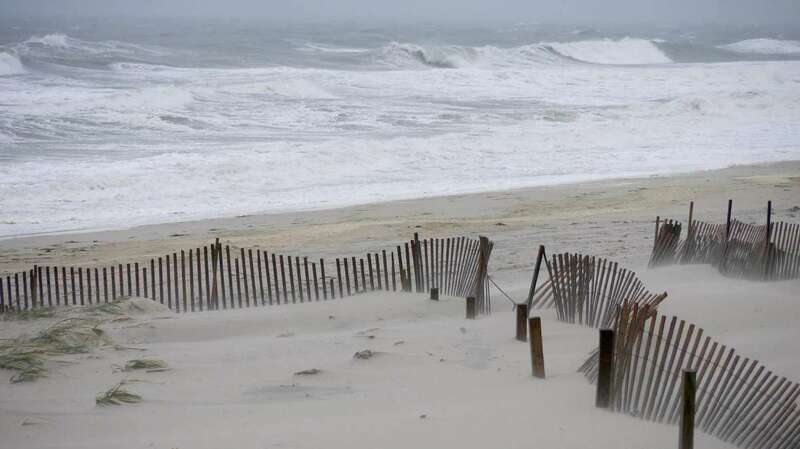 With many Jersey Shore communities reeling from severely eroded beaches and receding dunes after the latest coastal wallop, one private community in Ocean County actually benefited from the strong northeasterly winds. 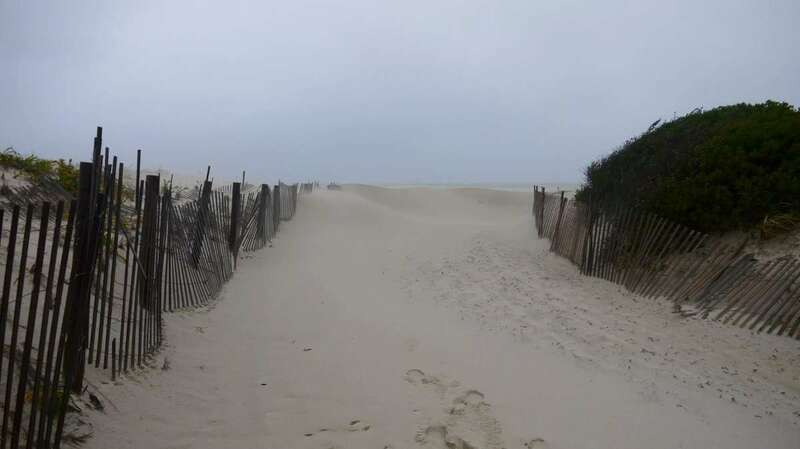 In Midway Beach, a private community in Berkeley Township adjacent to Seaside Park and just north of Island Beach State Park, a naturally-built dune system grew higher and wider since last week, according to Dominick Solazzo, 43, a naturalist and member of the community’s board of directors. 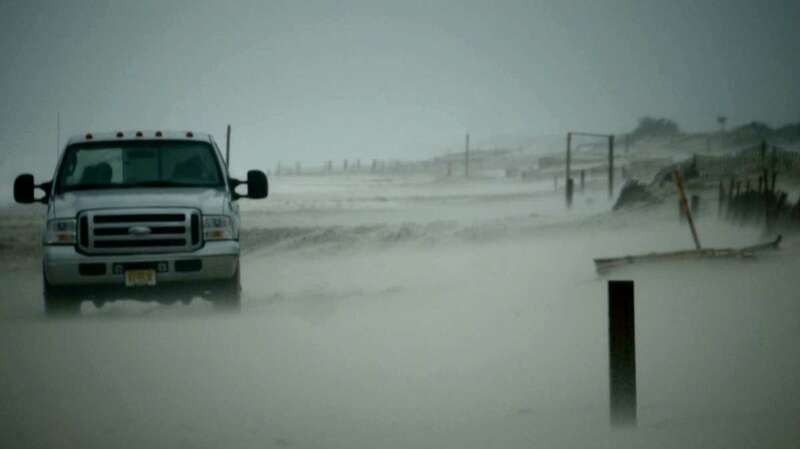 Standing on the beach entrance, Solazzo explains that a copious amount of sand deposited within the beach entrances during the last several days. 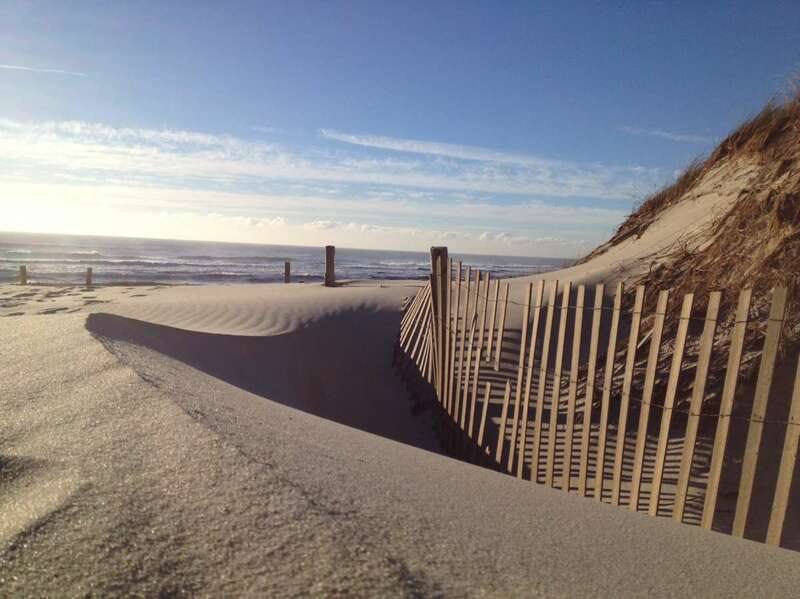 That’s because the gusty northeasterly winds blew sand that was then captured by snow fencing extending along the eastern portion of the dune line and each entrance. 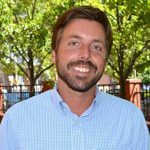 A dune evangelist, Solazzo is an outspoken proponent of naturally building the protective mounds of sand, as opposed to engineers and heavy machinery doing the work. 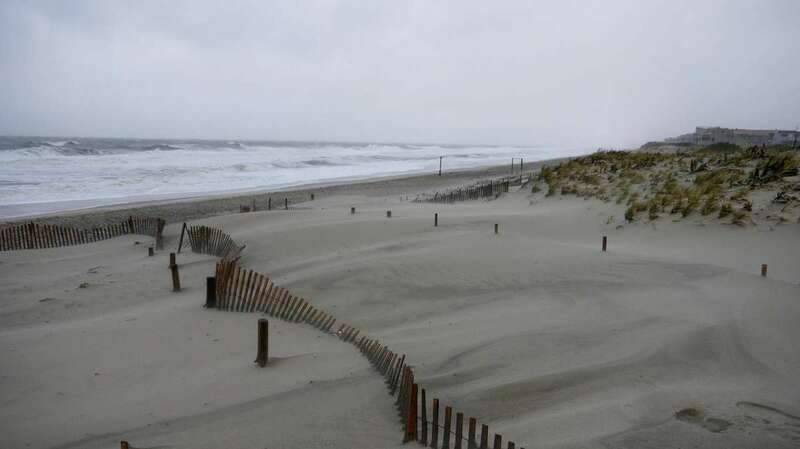 Inspired by a local resident and an ecology professor at Rutgers University’s Cook College, Solazzo has been spearheading dune management in the Midway Beach section of South Seaside Park for over a decade. 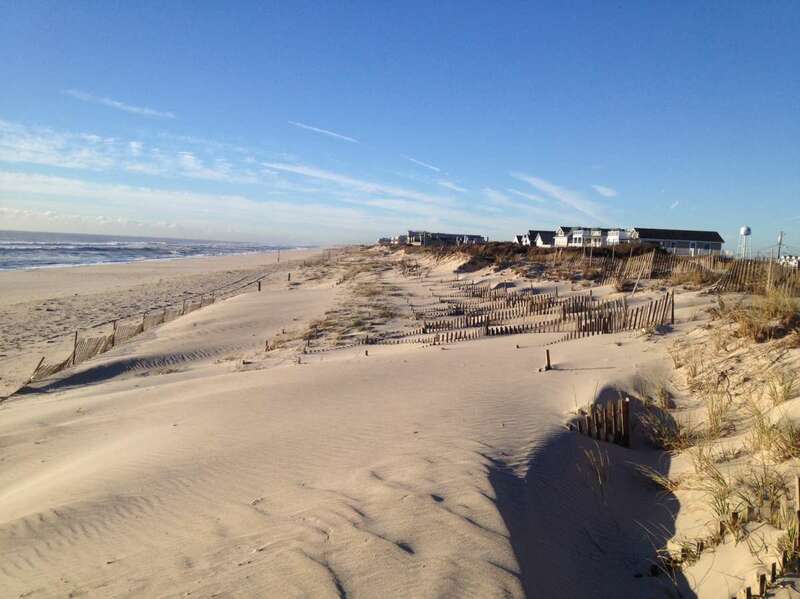 Midway Beach’s dune building program began over three decades ago, growing gradually over time, according to Solazzo, who points out that as a private community, the residents decide how to manage their beach. 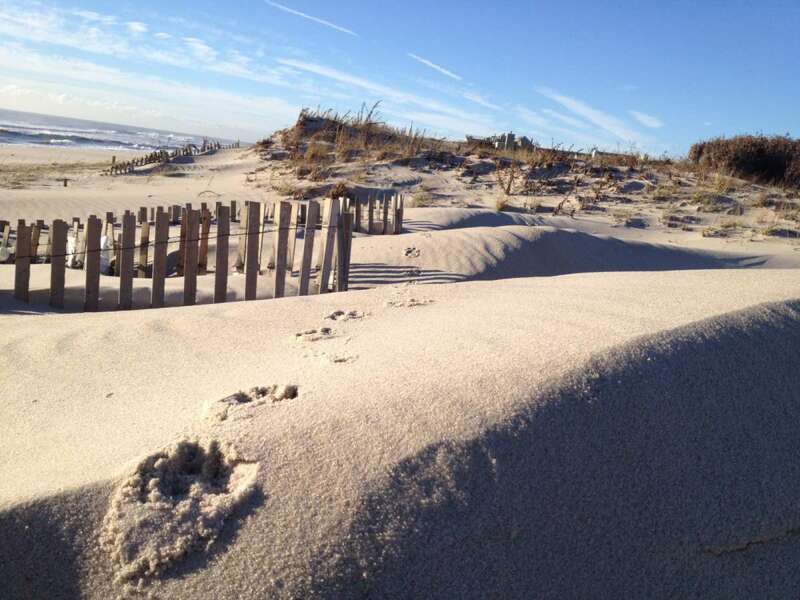 With Solazzo’s stewardship and an army of dedicated volunteers, the dune system grew even more over the last decade. 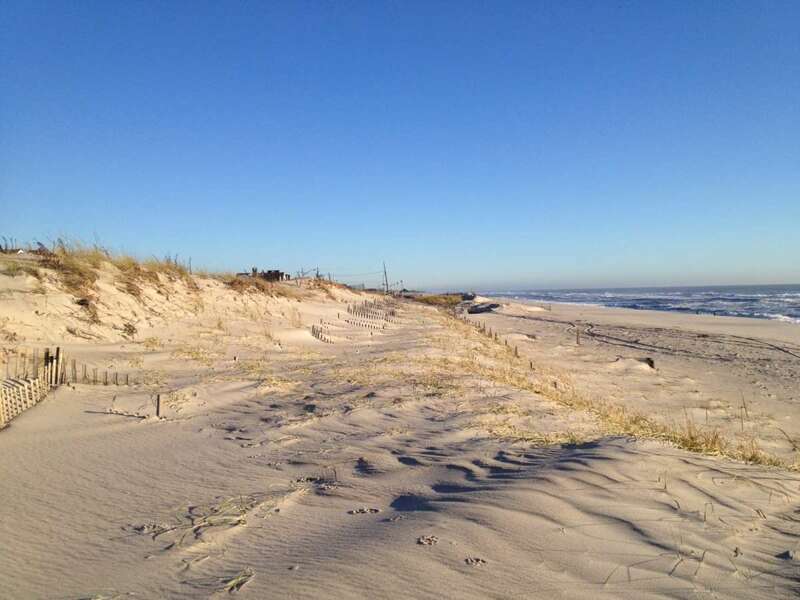 No tax dollars were ever spent growing or maintaining the dune system in Midway Beach. But what’s most paramount, he says, is proper management to maintain the system’s viability and protective nature. 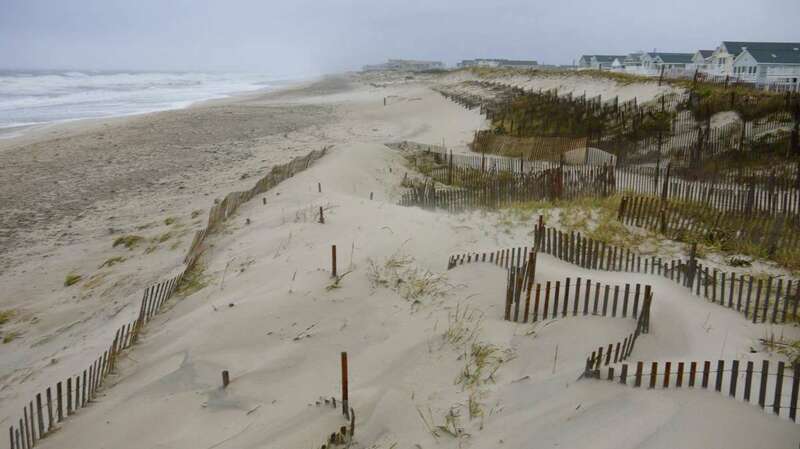 “If you add storm fencing and native vegetation to the mix of strong onshore winds a nor’easter provides, you have the birth of a dune,” he stresses, pointing to a line of dune fence arranged in a saw-tooth fashion. 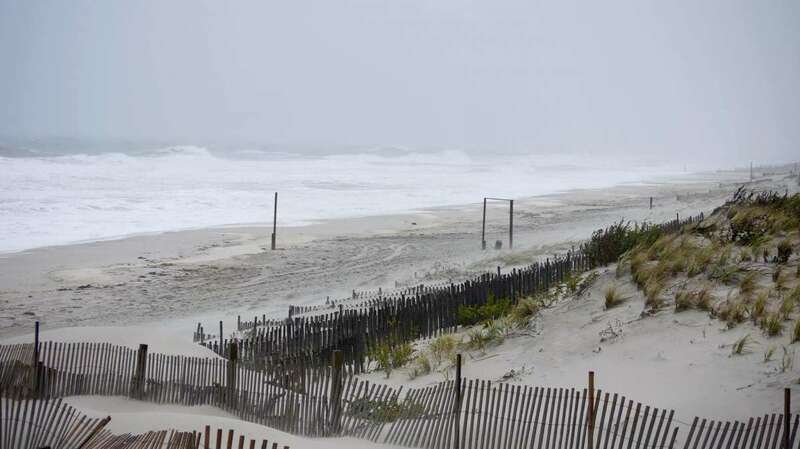 And that’s exactly why Midway Beach was spared from Sandy. 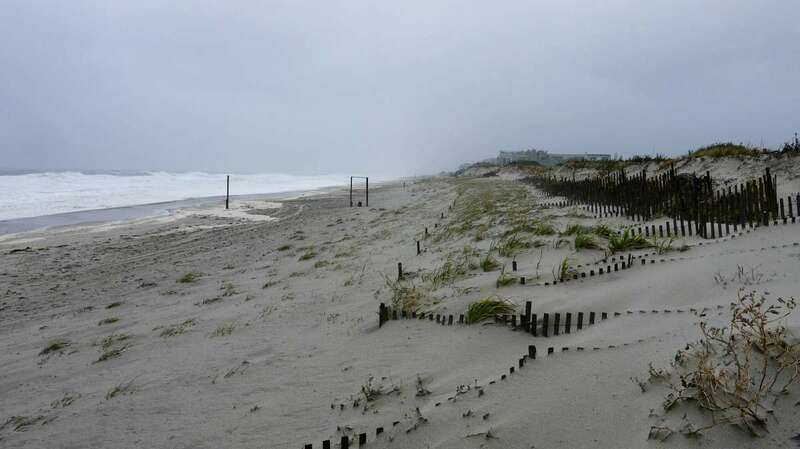 About a third of the community’s dune system was lost to the Atlantic Ocean, but water never made it to the street, the dune guru says. 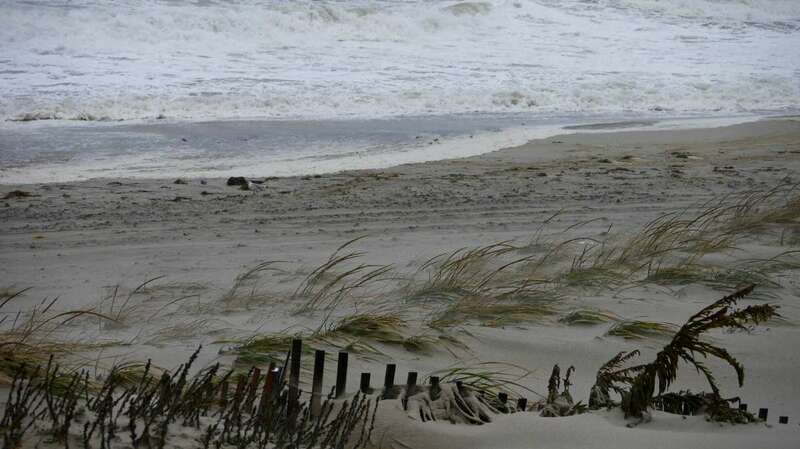 Solazzo stresses that therein lies the beauty of letting nature work for you, pointing to sand blowing directly into the dunes during yesterday’s nor’easter.